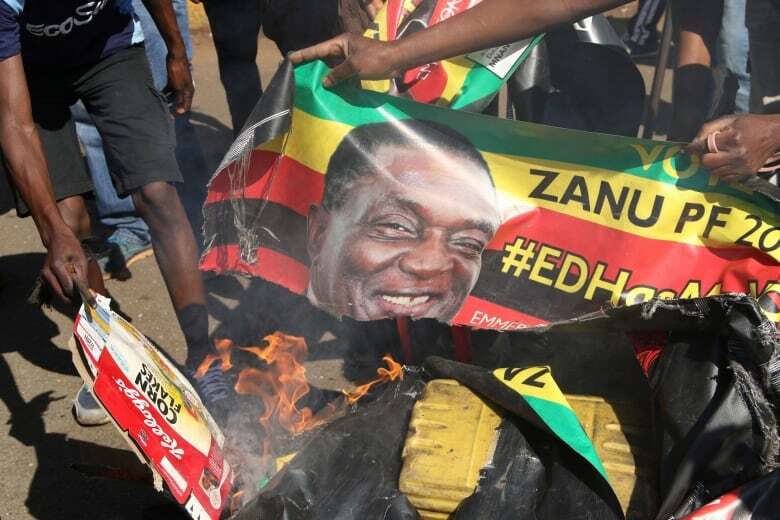 In an earlier statement carried by state media, Mnangagwa said the opposition under Nelson Chamisa is responsible for the chaos "meant to disrupt the electoral process." 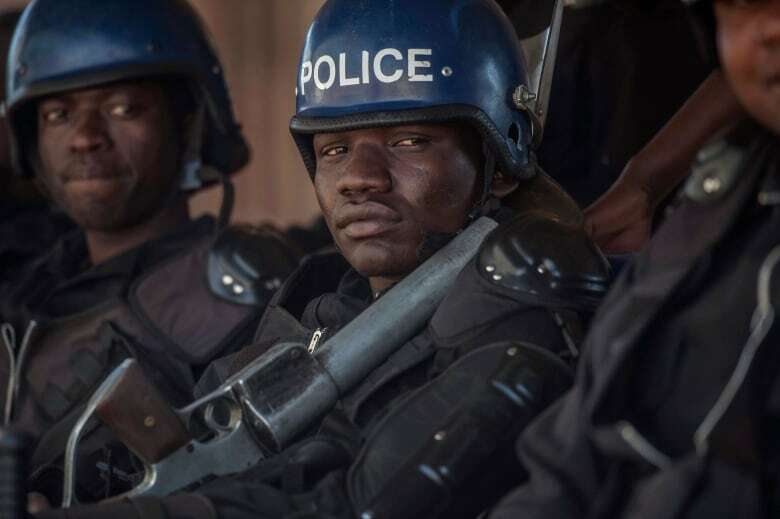 Police have invoked a strict security act that forbids public gatherings. 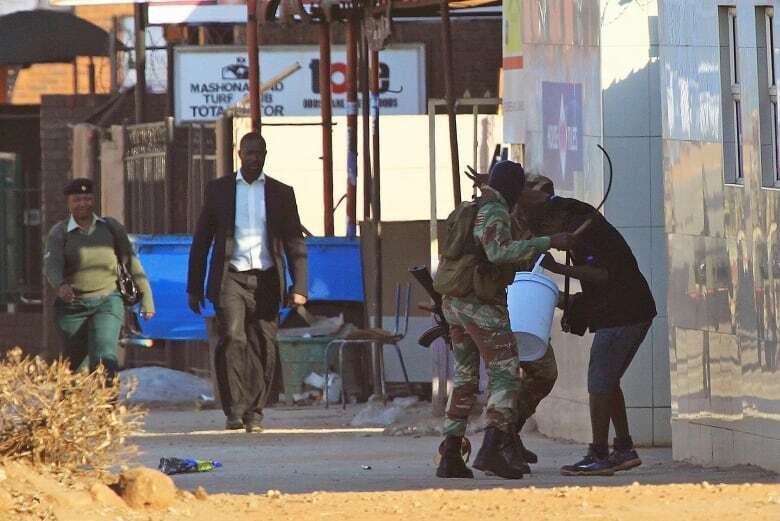 Soldiers are circulating in Harare, telling vendors and other people to leave the city centre by noon. The opposition Movement for Democratic Change has told reporters that Chamisa is "shocked" by the events in Harare. A spokesperson says that "we are seriously meant to wonder that this means. Are we at war?" The opposition says it condemns violence in all its forms. Both the opposition and Western election observers have urged that presidential election results be released as soon as possible. Zimbabwe's electoral commission says "sometime tomorrow" it will say when those will be released. 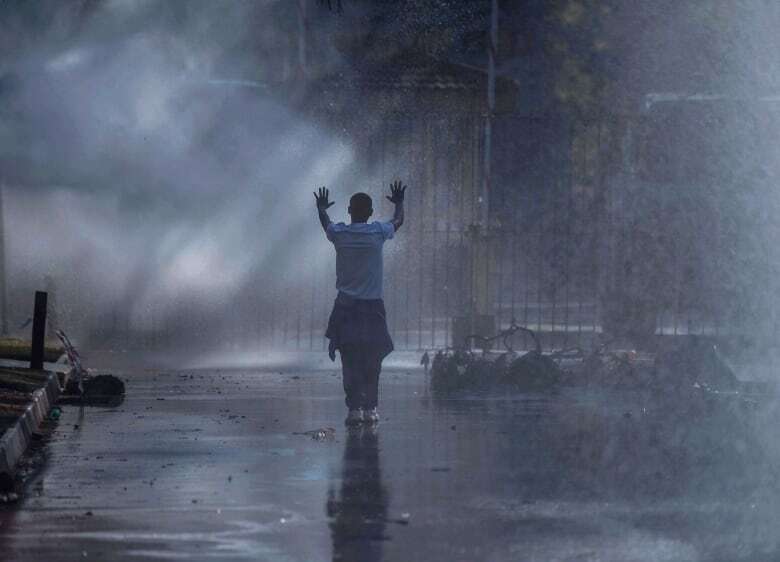 Opposition supporters had marched to and from the gates of a compound where the Zimbabwe Electoral Commission had been announcing results. Police padlocked the main gate. The opposition alleges the vote was rigged. Chamisa, 40, and Mnangagwa, 75, were the main contenders in Monday's vote, the first since Robert Mugabe was forced to resign after a de facto coup in November after nearly 40 years in power. The Zimbabwe Electoral Commission's results showed Mnangagwa's ZANU-PF cruising to a big majority after picking up 109 seats against 41 for the opposition Movement for Democratic Change (MDC). Another 58 seats are yet to be declared. Results of the presidential poll are expected by Saturday. "The strategy is meant to prepare Zimbabwe mentally to accept fake presidential results. We've more votes than ED [Emmerson Dambudzo]. We won the popular vote [and] will defend it," Chamisa said. Western and other election observers gave their first assessments of Monday's peaceful election and whether it was free and fair. The U.S. observer mission says delays in releasing the result of the presidential vote are causing "suspicions, tensions and volatility." Ellen Johnson Sirleaf, former Liberian president and head of the observer mission of the International Republican Institute and the National Democratic Institute, warned "the more the presidential vote is delayed, the more it calls into question the population's confidence in the election process." She said "the presidential results should be announced as quickly as possible to bring confidence in the elections back to the people." The Zimbabwe Electoral Commission has five days from Monday's election to release them. The U.S. observer says the commission should take immediate steps to publish a spreadsheet of the voting results that can be scrutinized by the public. The mission also criticizes the "extreme bias of the state media" and the layout of the presidential ballot, which put Mnangagwa at the top right-hand corner. 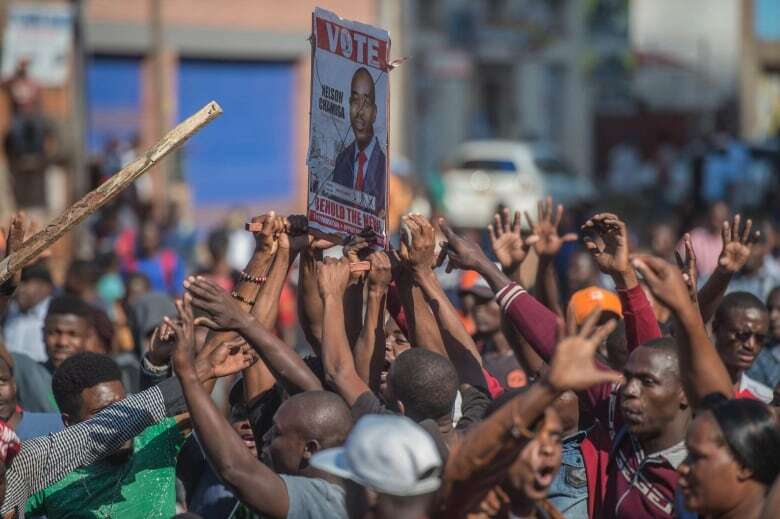 The Southern African Development Community called the elections "a political watershed in Zimbabwe's history," but with some shortcomings, urging anyone with grievances to refrain from violence. Zimbabwe was once one of Africa's most promising economies but under Mugabe's rule became tainted by corruption, mismanagement and diplomatic isolation. Its population of 13 million is struggling amid shortages of foreign currency, unemployment above 80 per cent and lack of foreign investment. Chamisa's MDC won in most urban centres, where it enjoys majority support. One independent candidate and a member from a party linked to Mugabe also won one seat each. On Tuesday Former Movement for Democratic Change (MDC) finance minister Tendai Biti and ZESN, the main domestic election monitor, said one in five polling stations — more than 2,000 in all — had not physically posted tallies on their doors, as required by law. That omission gave room for the ZEC, which ZESN and the opposition have accused of bias, to manipulate the results in favour of Mnangagwa and the ruling ZANU-PF party, Biti said.